Ham Rong Mountain (Dragon Head Mountain), situated in the center of Sapa town, behind Sapa stone church is an impressive tourist attraction. The main geomorphology is Casteur. Ham Rong is surrounded by many different types of mountains, evergreen forests with other broadleaf trees. Ham Rong in spring is filled with colorful flowers blooming along the way through. The poetic and grandiose Ham Rong mountain is considered as a fairy land of Sapa for its natural beauty as well as rich cultural value. Let Vietnam Typical Tours show your Ham Rong beauty in this following text. 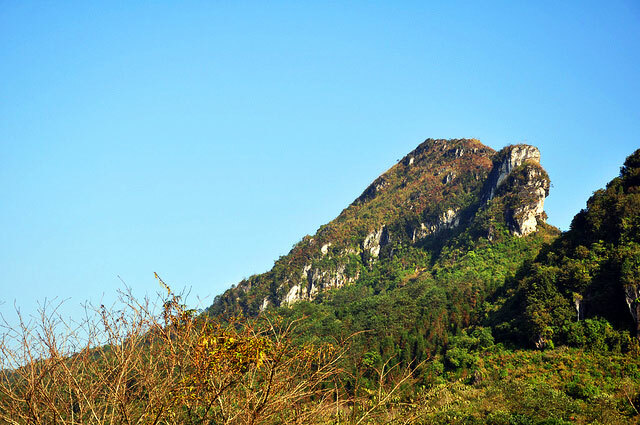 Shaped like a dragon’s head in the clouds, Ham Rong Mountain is approximately 2000 meters high with green trees and colorful flowers almost all year round. Most tourists in Vietnam travel visiting Sapa do the exciting climb up to the mountain. 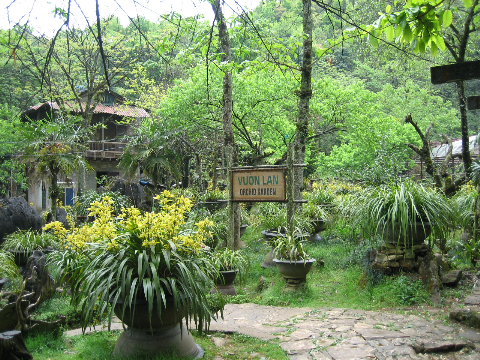 The path leading up to Ham Rong Mountain consists of many stone steps and a winding trail higher up will help to see small streams lazily run through bushy foliages. About mid­way, travelers will find themselves in an orchid -garden with over 400 species of colorful blooms. Standing on the highest point of Ham Rong Mountain, tourists will have a breathtaking view over the romantic Sapa town. The sound of bamboo flutes by Mong minority boys echo far and wide, their dances, songs, folksongs sound strong and romantic that will leave unforgettable impressions. A little further more will be a mini stone-forest where thousands of stone columns, pillars that surprisingly open visitors’ eyes. A stroll among these pillars seems to be a walk in the fairyland, thentourists proceed to the heavens gate, a beaten trail leads to the cloud-yard and a TV station. San May (Cloud Yard) is an ideal location to view the whole panorama of Sapa. 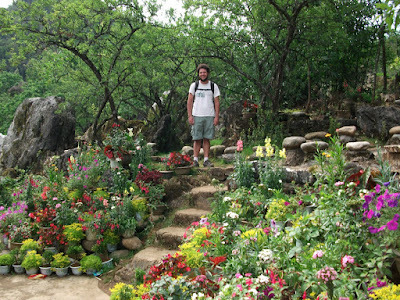 As going to Sapa, travelers often climb up Ham Rong mountain to enjoy a cool atmosphere and charming landscapes such as cloud ground and stone garden, gardens, garden of medicinal plants. If you come to Sapa in the spring, you also can see the beautiful flowers of peach, plum, pear on Ham Rong Mountain. A great deal of rocks in shape of dragon claws and fin appear to our eyes and we will think of being lost in a wonderland. Following cliff will lead us to the Heaven Gate I and II. Standing on the peak, you will enjoy particularly interesting landscapes around as much as you wish and throw your view farer to make the most of poetic beauty of Sapa town looming in clouds. Therefore, whenever be at Ham Rong Mount, tourists are still going to experience the most amazing feeling. To make your trip more attractive, you cannot forget to visit Sapa Tours in our perfect suggestions. Hope you have a super nice holiday!